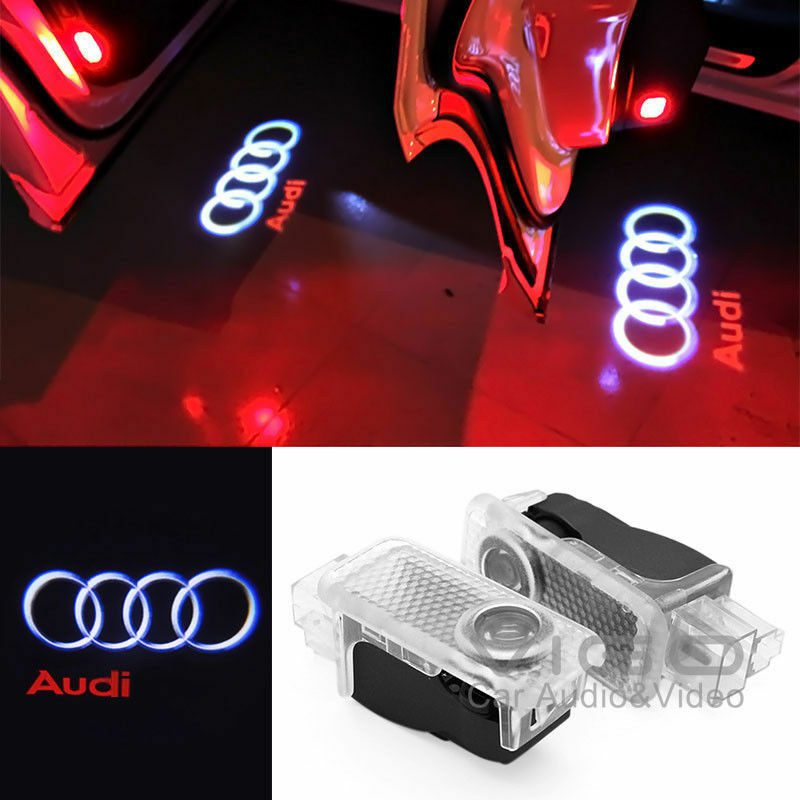 Just ordered some Audi Door Light Emblem Badge Projector lights from ebay, going to post some pictures when they arrive. Thats really cool. Can't wait for your feedback. I think I might get the OEM Audi ones. I had some of these lights I ordered from Amazon and their "crispness" deteriorated after like 2 months or so. The replaceable lenses needed to be replaced. The OEM ones have a heat sync in them which is why the non-OEM ones needs to be replaced as they heat up to much and distort. The OEM one's are a bit pricey at ~$150US, but what is cheap for our cars? OEM Audi ones?! See, this is the kind of crap that VAG always does... Why wouldn't these just come installed already when we get our cars new? Or at the very least make it an option that people are aware of. It's a $50k vehicle!! Just throw in the damn $100 part. Easy right?! It bothers me that my friend's piece o' crap new Ford Mustang has the prancing horse as a courtesy light and we have to pay extra! They aren't OEM but they fit and replace the OEM ones perfectly. Ahhh, figured so. Thanks for clearing that up, otherwise Audi would have done this a long time ago ! Just installed these. They were only $25 a pair on Amazon! They look amazing in person. Its an actual projection laser! please excuse the pictures being upside down! Nice they finally released an S3 version. Installation required the included spade connectors and threw me off at first as the harness from the door panel didn't just directly plug in. Mind the polarity too! The brown wire is the negative leed! Nice find [MENTION=228]ScoobyS3[/MENTION], when I was looking they didn't have the S3 pattern yet. Hi I got an s3 2015 plate and I want to get some door protector LED lights for my doors and I haven't got any door lights under my door but I can see a red light at the side of my door can that work or not. Yes! Those red lights that you see are the factory lights. The projectors are made from the same part and go right in.